In Rupert Grint V HMRC  TC05286 the Harry Potter star fell foul of the rules for change of accounting date for tax. The actor was advised to extend his accounting period so that more of his acting profits fell into the 2009/10 tax year, order to avoid the 50% tax rate that was introduced in 2010/11. 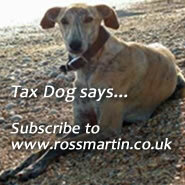 A change of accounting date is not treated as abusive tax avoidance. Unfortunately, his advisers drew him up accounts that spanned 20 months and the 18 month condition set by section 217 ITTOIA 2005 for a valid change of accounting date were not met. No tax savings were achieved.